London is awash with trendy wine bars and hipster cafes, but thankfully for those of us who like some brain-tickling fun with our beverages, there are plenty of places to choose from. Whether you’re a history nerd, a gaming geek or a board game buff, here are 12 places that are perfect for your next night out. 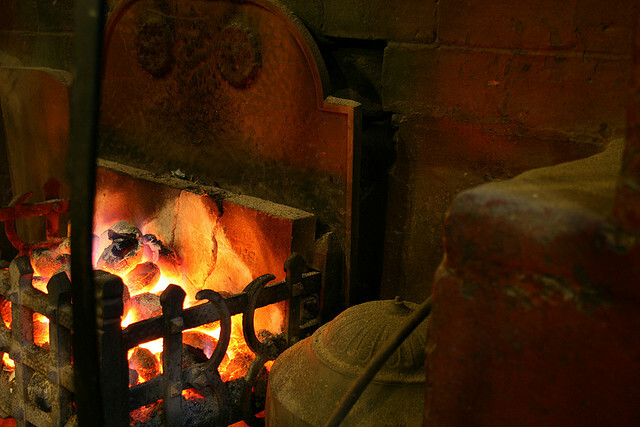 One for the literary history buffs among us: Ye Olde Cheshire Cheese has entertained the likes of Charles Dickens, PG Wodehouse and Mark Twain in its time. The 17th Century building dates back to just after the Great Fire of London and was a favourite of the Fleet Street pack in the area’s heyday. The hacks have now moved on and the pub survives in its original form to this day. 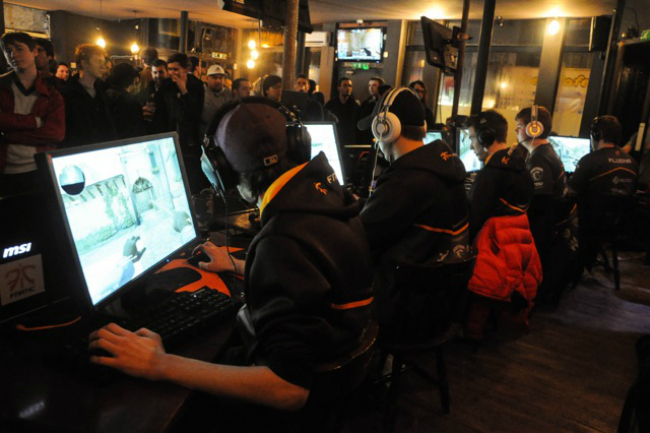 Meltdown bar in Caledonian Road is the first e-gaming pub in London and is best described as a sports bar for gamers. Sip on a gaming-themed cocktail or shot such as Doom, Jim Raynor or a Stimpack while you either play the night’s featured game via the consoles arranged in an ‘X’ formation, or just watch the action on the wide screens. 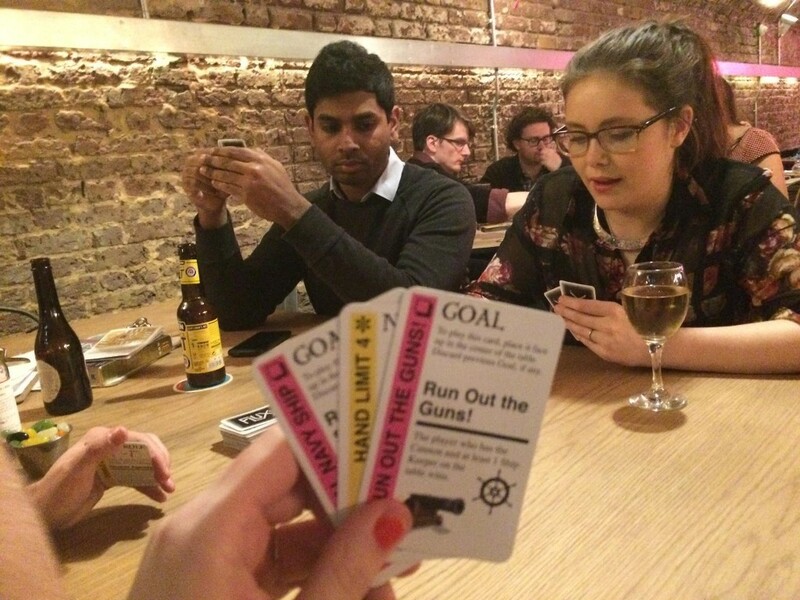 This board game cafe and bar in east London is a thinking bob favourite: we go to Draughts every month to have a play at everything from Hungry Hippos to Cards Against Humanity; from Backgammon to Game of Thrones. Grab a game, pull up a seat and eyes down. More information: Visit their website or check our socials page to see if we’re heading down there soon! 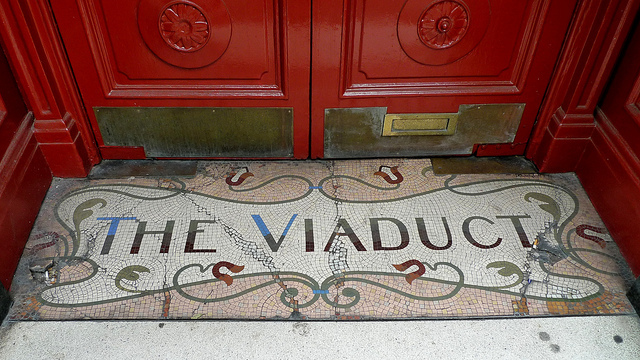 If it’s spirits you’re after, then as The Viaduct Tavern is the last surviving Victorian Gin palace in London, it’s worth a visit. It’s overlooked by St Paul’s Cathedral and used to be a debtors’ jail for the notorious Newgate Prison. Fun fact: some of the cells from the jail still remain and are used by the pub as a beer cellar. 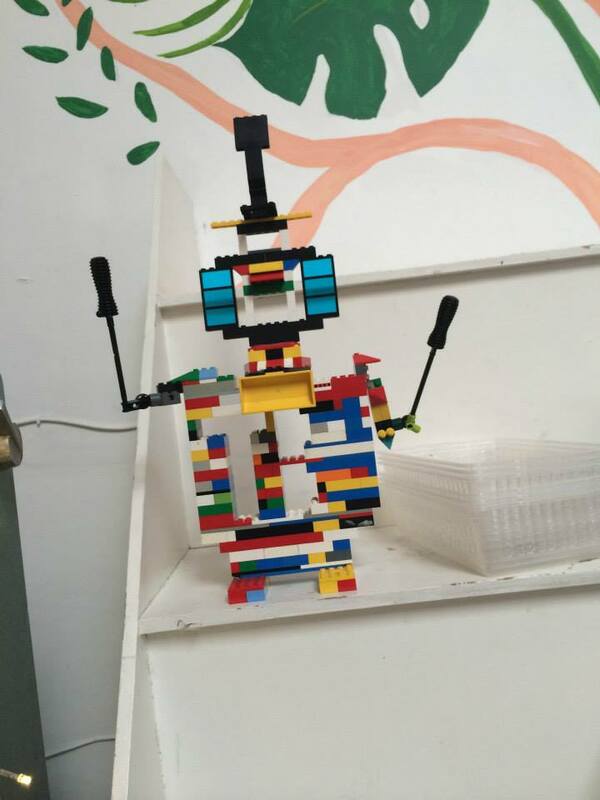 If Lego robots, craft lessons and colouring-in workshops sound like your thing, then Drink, Shop, Do will be right up your street. This cafe/bar in King’s Cross is a crafty geek’s paradise and there are new interesting themed evenings on every night of the week. 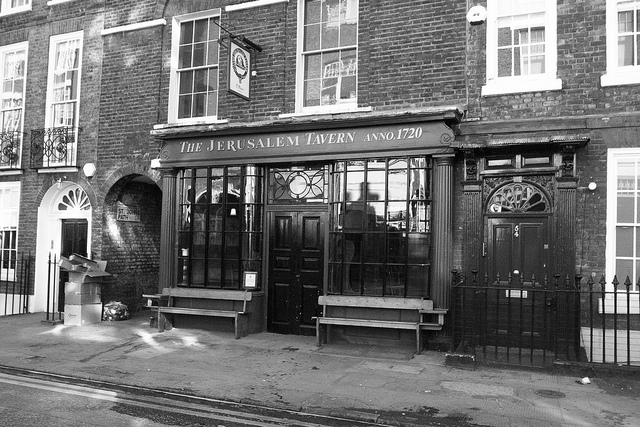 The Jerusalem Tavern in Farringdon has been around since the 14th Century and the current building dates from 1720. As well as a history lesson, you’ll also get a pretty good beer, too: the pub was recently voted the third best pub in the whole of London in a poll of over 20,000 Londoners. 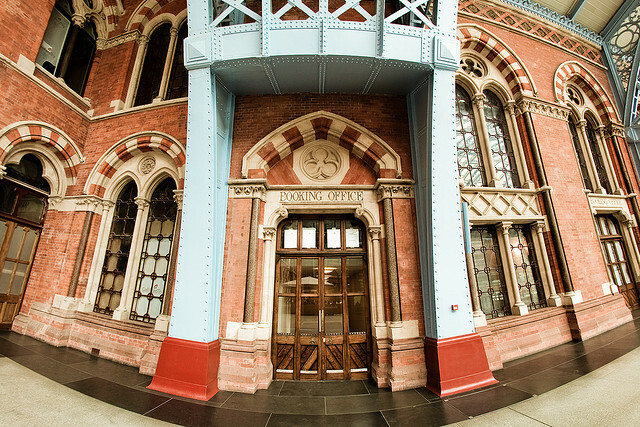 Take a step back in time and see another side to King’s Cross station at the Booking Office at St Pancras Renaissance Hotel. This historic bar is known for grand cocktails in a grand setting (the original King’s Cross booking hall, to be precise) and the 29 metre-long bar is just as impressive as its story. And if you’re still in the area the next morning, the accompanying restaurant does breakfast, too. 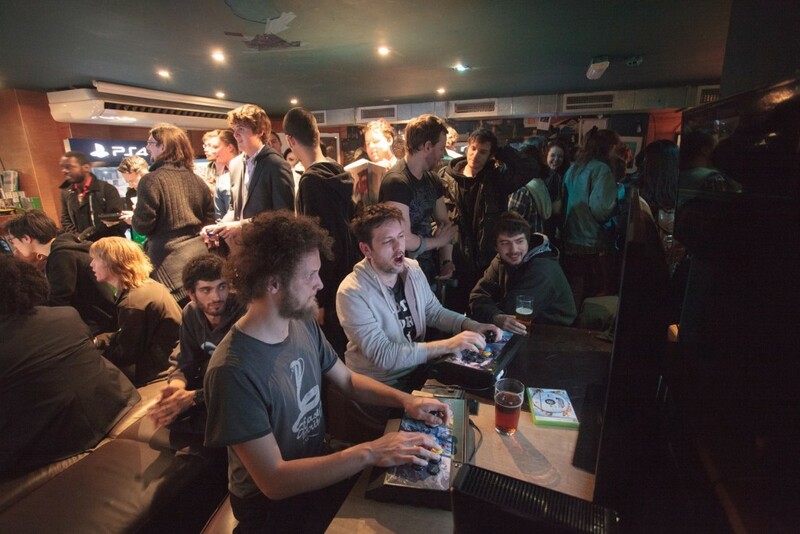 The second video games bar on our list, this time based further east, in Dalston. Loading Bar offers a place for gamers to drink, relax and play, with gaming-themed cocktails on offer (called things like World Of Barcraft and Alien: Inebriation, naturally) and consoles dotted around the bar available to play for free. They also hold launch nights for new games, with more themed cocktails to be had. 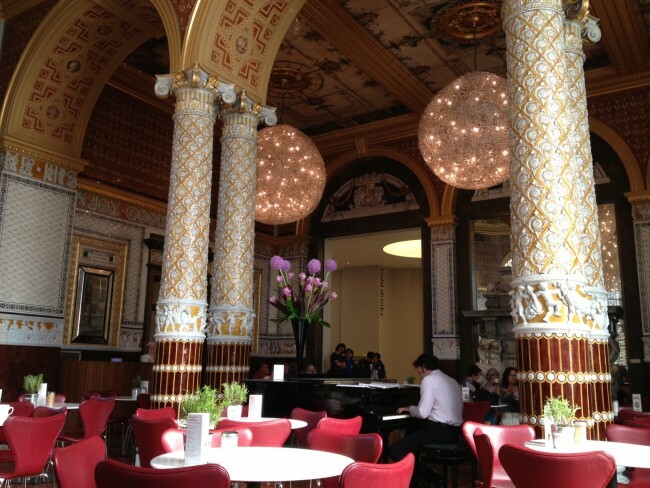 All Londoners, especially the geeky ones, know about the V&A, but not everyone ventures as far as their beautiful cafe. Believe it or not, it’s not a fancy restaurant but a tea and coffee room where you can sit and relax with the sound of their piano playing in the background, either before or after you’ve explored the museum. The Old School Yard is all about indulging your inner child, with 90s music playing til late, pizzas on the menu and foosball aplenty. Oh, and there’s a retro console in the corner available to play for free. 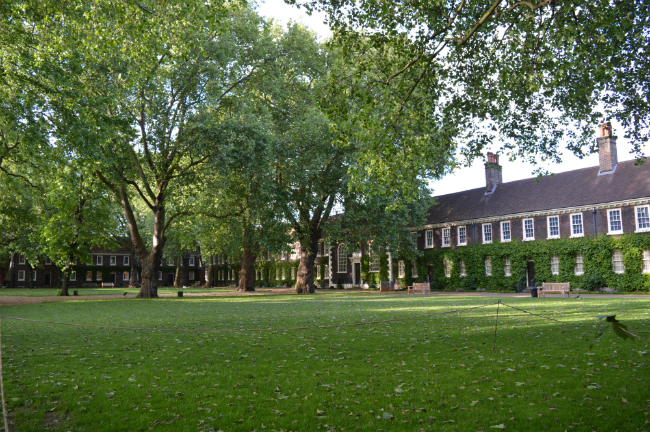 The Geffrye Museum in east London is dedicated to beautiful interiors: Through The Keyhole in a museum, if you will. To top off your trip, give their lovely cafe overlooking their period gardens a go: they serve hot food, sandwiches and even the odd alcoholic beverage. 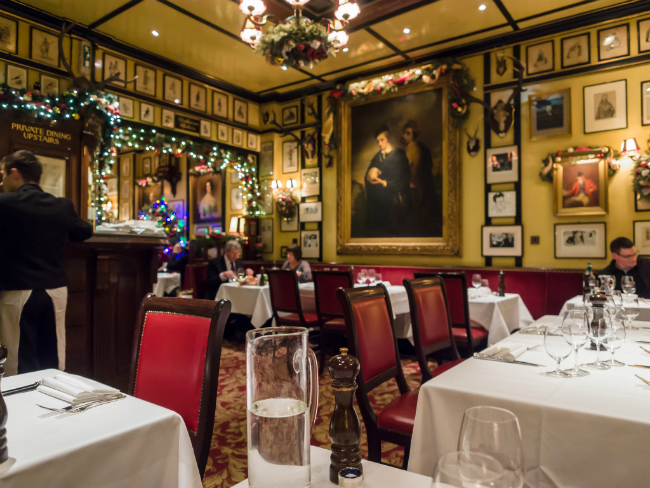 We like to end on a high, we’ll finish with Rules: the oldest restaurant in London and the former haunt of the great and good of recent history. Edward II used to entertain his mistress in the bar upstairs and Charlie Chaplin, Charles Dickens and Joan Collins have been among the clientèle in the restaurant downstairs. 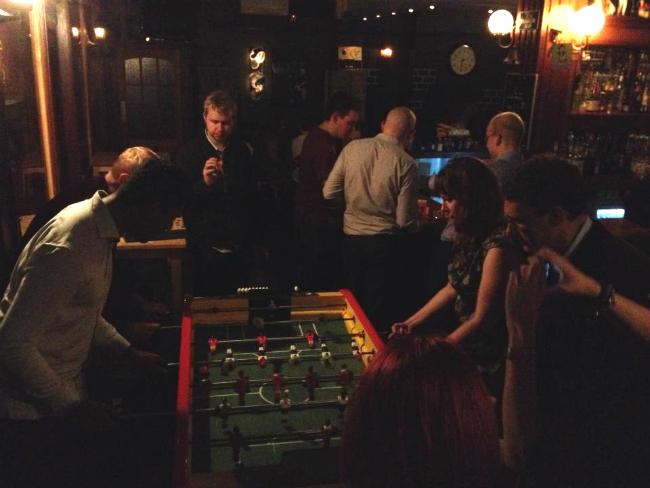 We organise over 60 socials in the city every month, from geek pub quizzes to evenings based around smart talking, debates and puzzles. Want to join us? Your first month’s membership is FREE and you can cancel at any time, so why not take a look at our social calendar and give us a try?